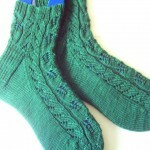 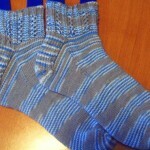 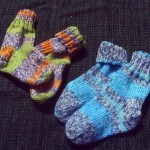 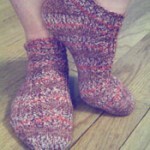 Here are a few sock patterns. 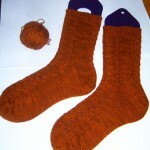 I also have an excel chart which I use to determine the gusset and heel turn on toe up socks that may be helpful. 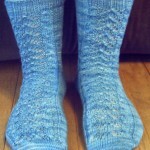 As in other areas, send me a picture of your finished socks and I’ll create a page for the pattern to display your handiwork. 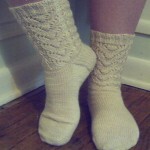 Good for showers or bazaars.